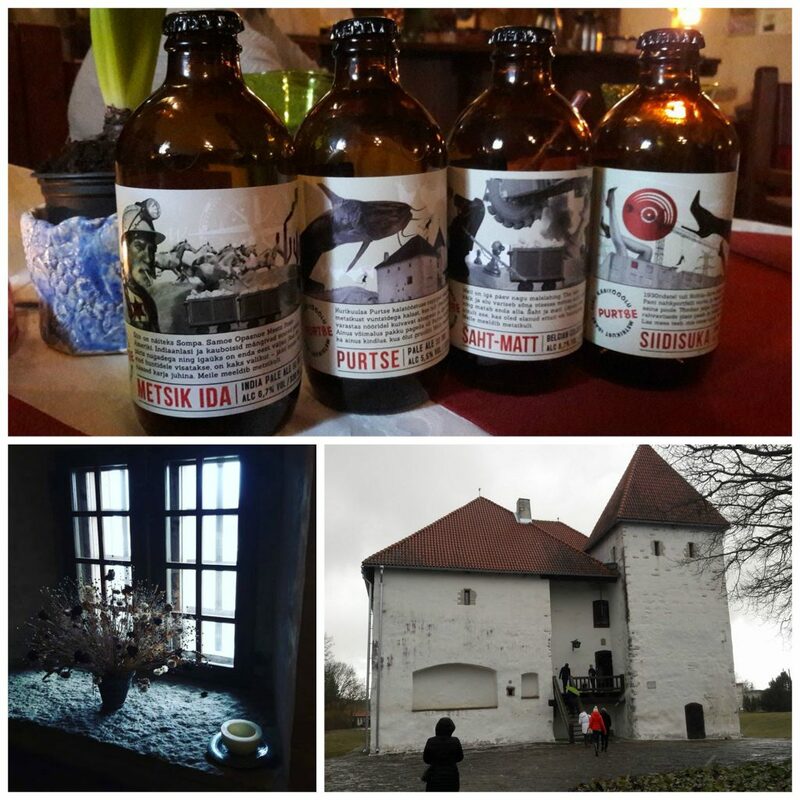 Our Project Manager Hele Lahtvee gives you five hints for unique places in Eastern Estonia that should definitely be shown to film producers as their authenticity and historical accuracy must not be missed! Kreenholm is an island on River Narva dividing the Narva waterfall into the western and eastern distributaries with the latter also marking the Estonian-Russian border. In mid-19th century, a textile factory named Kreenholm Manufactory Company was established there. Kreenholm operated as if a separate town on its own island. In addition to the production facilities, also housing for employees were constructed in the fashion of the most innovative industrial housing areas in England (with red brick and little turrets as compulsory elements). It reminded of a comprehensive city district with its residences for managers, foremen and workers, a school building, sauna, police station and shops, but also a Lutheran and Russian Orthodox churches, a market, a fire station, a huge hospital and club building. Kreenholm was officially merged with Narva only in 1917, until then the street across the complex did not even have a name. It was only after the Second World War that the street in Kreenholm was named after Lenin. Elsewhere, the name of Lenin was given to the widest and most important street, but Kreenholm got the name for its workers’ uprisings that were regarded highly by the city. In 1990s, it was renamed as Joala Street. The abandoned Kreenholm Manufactury Company expanding over 30 hectares is a perfect setting for a horror or action film for its massive walls as well as vast deserted rooms. Excursions to the closed facilities allow the tourists to sense the enormous extent of the textile industry here. During the Soviet period, architecture was a means of propaganda for the authorities to speak with the people. In Sillamäe, the conversations have been excellent: the powerful colonnades, stairways and generally oversized scales allow you to sense the presence of power and your own minuteness. In order to complete the urban image, the staircase leading from the central square towards the sea was decorated with sculptures and live palm trees (stored in greenhouses in winter and brought outside again in spring). As Sillamäe was a closed border town during the Soviet period, people were kept away from the sea and thus the avenue was not completed near the coast. At present, however, there are plans to construct a pedestrian bridge, pavilion and colonnade at the end of the avenue in keeping with the former style. One of the most remarkable buildings in Sillamäe is the cultural centre with a grand eye-catching chandelier. It was installed in 1949 and has remained unchanged ever since with only new sockets fitted for contemporary lightbulbs. The majestic chandelier was originally made for a castle in Tajikistan or Turkmenistan in Central Asia, but the factory director in Sillamäe Fyodor Gukov ‘snatched’ it for the cultural palace under construction. 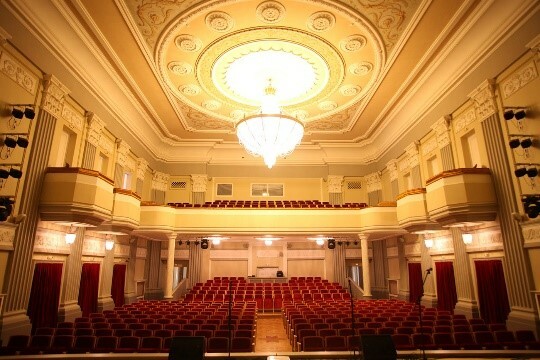 In addition to the chandelier, Sillamäe also boasts a miniature copy of the famous steps in Odessa, a boulevard opening to the sea at present under vigorous construction, a restored bomb shelter housing the Soviet museum, and much more that would make a perfect scenery for a monumental film set in the Soviet era. There is no match for such genuine and representative Stalinist style anywhere else. The underground museum is one of the most exciting and fascinating attractions in East Viru county with the total length of its tunnels extending over a kilometre. The excursion takes you through the mine in the miners’ footsteps providing you with a glimpse of their daily drudge in the dark and damp tunnels thus revealing the background and development of the mining industry. 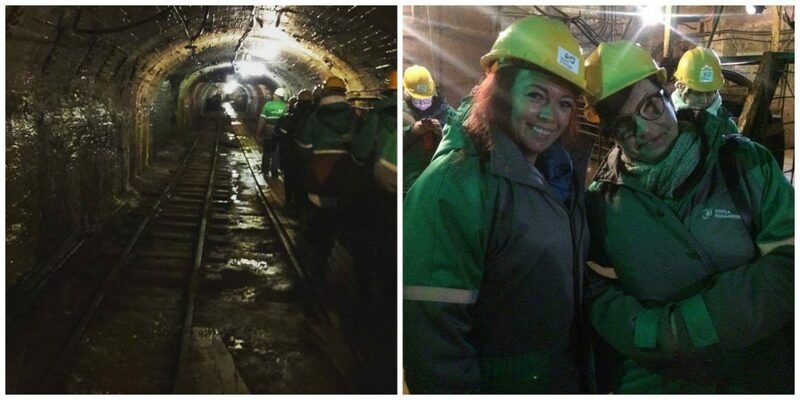 The underground tour takes you through various work and resting areas and explosive storages, you ride on an authentic miners’ train and learn about the underground equipment and technologies. Visitors may also order a delicious miners’ lunch to be enjoyed in an authentic underground miners’ canteen. It is a truly film-like experience taking you back in time to the daily life of a Soviet miner. The coastal cliffs in Saka-Ontika-Toila are the main attraction in East Viru county. Expanding over 55 metres above the sea level, Ontika cliff seems like a stone natural history book highlighting the layers of various eras. It is the highest point of the famous Baltic Klint extending over 1,100 kilometres from the Swedish island of Öland to Lake Lagoda in Russia. The coastal cliff stretches from the village of Saka to Toila Bay over almost 23 kilometres thus forming the longest continuous part of the klint. 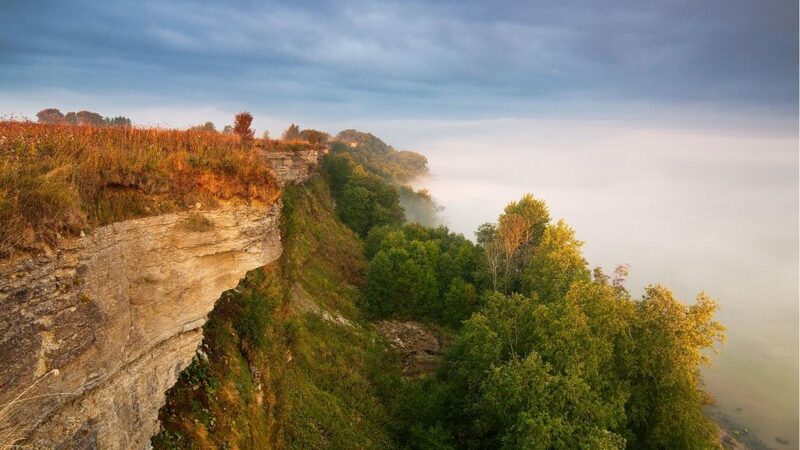 The platform near Valaste waterfall offers the best views of the cliffs, while also the hiking track built on the coast provides a good opportunity to experience the unique klint forest. Valaste is the tallest waterfall in Estonia at 26 metres. It formed only a few decades ago at the mouth of the canal dug in the limestone plateau and ledge of the klint as a result of the drainage work. The platform affords excellent views of both the waterfall and the consequences of the flow. When viewed through the lens, the coastal cliff would provide a perfect background for love movies – both those with tragedy and dramatic events interwoven in the plot and those featuring cheerful romantic encounters. The views from the cliff and the mysterious forest and sea below – sometimes smooth as glass, sometimes in violent storms – will feed your imagination with endless opportunities. The castle of Purtse is located on the banks of River Purtse in East Viru county, immediately visible to visitors driving from Tallinn and gazing at the sea. It has provided shelter against raids and found practical use as an icehouse, milk and grain storage as well as a prison and workers’ accommodation. The construction of the tower castle was funded by the money that the owners, the Taube family, gathered as coastal robbers – by leading ships onto the rocks with false lighthouses and then looting them. They later built the church of Lüganuse and supported the church in Jõhvi to redeem their sins – whether the lord in heaven or, more likely, the more temporal king on Earth. Thus, the background of the castle would provide an excellent setting for medieval Sopranos or for some other knightly tale. Today, the castle doors are open for excursions, exhibitions, weddings, concerts and also as a restaurant. We recommend the delightfully delicious mushroom puree soup!